I just finished Fun Home by Alison Bechdel. It’s a graphic novel memoir described as a “Family Tragicomic.” The book documents the author and artist’s relationship with her family as she grew up focusing on her father and how his personality and temperament affected her and the household. As Allison discovered she was a lesbian and came out of the closet to her parents, it uncovered a family secret that her father was also gay. I really appreciate the ways great cartoonists can shape a story and the mood they are conveying through the combination of drawing and narrative. Allison conveys this extremely well. I think the story felt very personal to me for a number of reasons, but it is also a very universal experience to grow up and find out that your family or parents are far more nuanced and less black and white, right and wrong then they seemed when you are a child. We had given this book to my sister-in-law as a gift. I borrowed it back from them because the book has been turned into a musical and it is coming to Baltimore Center Stage in January. I bought tickets for the family and that was a great reason to finally read the book. It’s so exciting that this production is coming to Center Stage and I’d recommend anyone read the book and go see the show while it’s here. I’m always excited to see what unexpected authors I meet or run into at the Book Festival. Some of my children’s favorite YA authors are people I’ve met working at or perusing the festival. There is so much talent that comes through, from the programmed tents to the self-published authors. If you go with an open mind, you won’t be disappointed. If something catches your eye or your ear don’t be shy, meet the author, ask questions about their work and take a chance. It’s wonderful to discover new artists and authors through direct interactions. 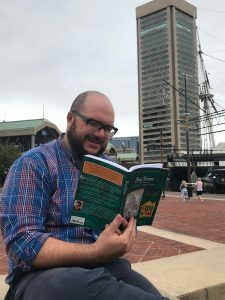 The Baltimore Book Festival returns to Baltimore’s Inner Harbor on Friday, September 28 through Sunday, September 30, 2018 from 11am to 7pm daily. The literary arts celebration features acclaimed local, regional and national authors, readings on multiple stages, cooking demonstrations and samplings, workshops, panel discussions, storytellers, children’s activities, the annual Storybook Parade, live music, and food and beverage. 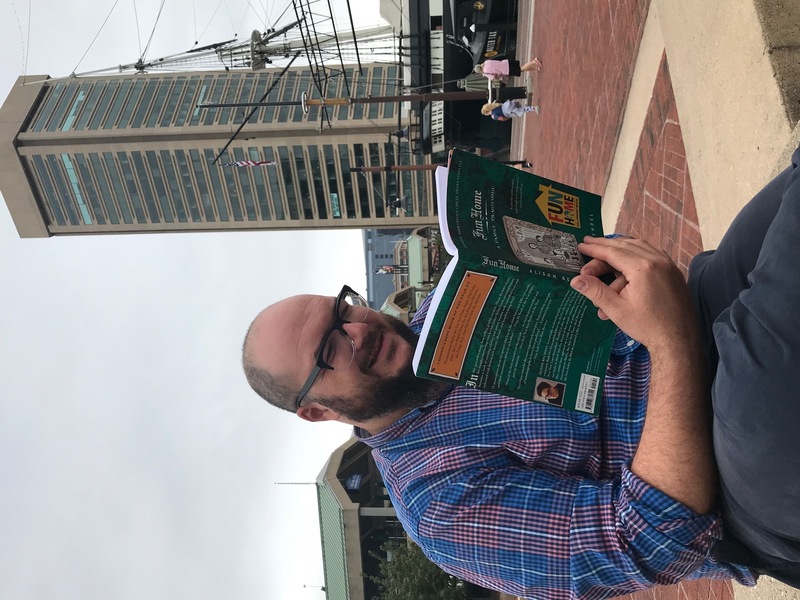 Visit www.baltimorebookfestival.org.